Like lots of people, I’ve been thinking about the current row about Cambridge Analytica and their supposed influencing of the US election and Brexit and possibly other elections around the world. I understand people’s anger and I understand the degree of fear that comes with the idea that we (or, more usually, some other group: “them”) are being manipulated to undermine democracy. But there are good reasons to be sceptical over the claims made for and by Cambridge Analytica (CA). The basic story is that CA scraped user data off Facebook. Some people equate this with stealing data or an elaborate hack of Facebook, but what they actually did was take information that users left lying around about themselves because they couldn’t/didn’t want to/didn’t know how to make it private. It wasn’t particularly clever, if my interactions with people studying social media are anything to go by then there are probably quite a few academics standing around with their hands in their pockets trying not to look guilty as the current row rumbles on. What sets CA apart is the claims they make for what they did with this information. Developing psychographic profiles of millions of individuals which, they say, they used to create online advertising that was uniquely persuasive and effective. They’ve also claimed, in the Channel 4 videos, to “seed” viral information around the web and to indulge in various types of dirty politics. I’ll come back some of the other stuff in another post, but first I want to talk about online advertising and why I consider it an unlikely tool for manipulating “the masses”. If your goal is to persuade anyone of anything you could hardly choose a worse weapon than the online display advert. People really dislike online advertising. A study by Statista of US attitudes to advertising found unfavourable attitudes to: pop-up ads (-55%), pre-roll video ads (-28%) and sidebar/banner ads (-21%). This compares with net positive attitudes for print (+27%), billboard (+26%), TV (+8%) and radio (+6%) advertisements. More and more people are blocking online advertising. Around 30% of Americans employ an ad blocker and the estimate for the UK is around 21% – people going to significant lengths so that they don’t have to see online advertising on both desktop and, increasingly, mobile formats. Even if the advertisement does get clicked it is often the result of fat finger syndrome. Paying for blank display ads the researchers on one study managed a higher hit rate (0.08% CTR) than most commercial campaigns. Asking users why they clicked the blank advert revealed that half the interactions were by users who had clicked the advert by accident while browsing. Then there’s fraud. From click farms and botnets through to domain-spoofing there is a vast industry dedicated to hijacking online advertising and directing the price advertisers pay for each impression and click into a stream of money for the fraudster. Estimates put fraudulent impressions at 80% in Japan, 37% in the US and 18% in the UK. And, finally, online advertising just isn’t very persuasive. For commercial advertising the “conversion rate” – the rate at which the number of people who click on an advert, visit a company’s website and actually turn into buyers varies widely but averages of 2.5% with highly successful campaigns managing 10% are a good guide. That means that for every one million people who see an advert online only 25 will, on average, be persuaded to buy something. The very best campaigns will manage to persuade ten in 100,000 to make a purchase. 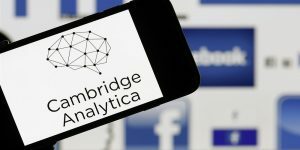 Now, it’s possible that Cambridge Analytica (and those who have built them up as bogeymen) are right and that their unique targeting and persuasive tools give them the edge over commercial advertising (though commercial advertising has plenty of experience with both) and made them the decisive factor in Trump’s campaign. But is it likely? Trump won Michigan, the closest race in the 2016 Presidential election by just under 11,000 votes in a state where 4.6 million people voted. To have been primarily responsible for that majority, Cambridge Analytica’s campaigning would have had to be hundreds of times more potent than even the most successful commercial campaigns. Assume CA targeted adverts seen by a million “floating voters” in Michigan, a successful commercial campaign might expect to convert 100 of them into customers – to convert the 11,000 who gave Trump his majority would be impressive. To be responsible for adding the 150,000 votes that Trump gained over 2012 Republican candidate Mitt Romney would be extraordinary beyond words. This is possible, I suppose. But if Cambridge Analytica have developed a technique that increases advertising conversion rates to levels in the tens of thousands per million then they were wasting their time with politics. They should have been selling Coca Cola. It’s more likely, though, that online advertising is just a really poor way to persuade people of anything and that other factors – more prosaic ones, ones that don’t have a simple bogeyman to blame and that require complex thoughts about the way in which parts of the working class have lost faith in the idea of progress and progressive politics – are to blame for our current woes. This entry was posted in Politics and tagged 2018, academic, election, elections, New media, Politics, social media. Bookmark the permalink. Probably true, even if they are evil barstewards and it would be a social good to keep hounding them and their mates – their bullshitting is corrosive. I’m more worried by Google’s corrupting the analytics to throw up skewed links to likes…that is seeking to direct people’s searching & individual’s searches are deemed to be their choice – it is very odd. The nearest analogy is if the world decided to only employ weirdo, nasty facistic librarians….